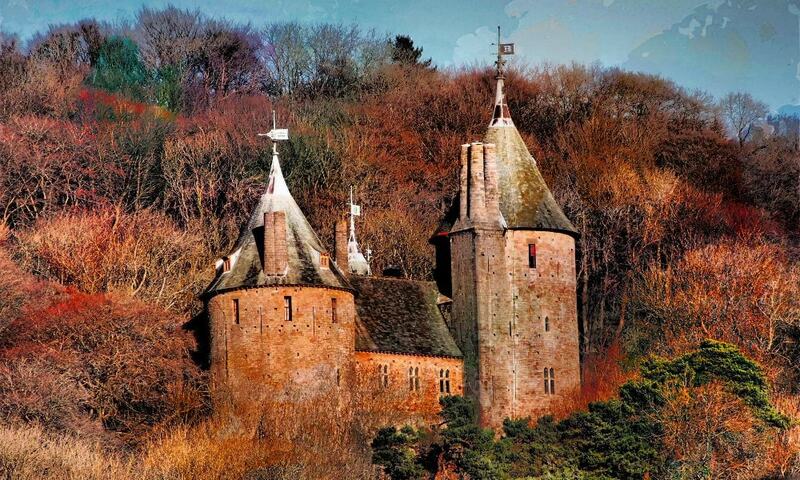 The first castle on the site was built by the Normans after 1081, to protect the newly conquered town of Cardiff and control the route along the Taff Gorge. The castle was abandoned, destroyed and rebuilt several times. In the 19th century, John Crichton-Stuart, one of Britain's wealthiest men, reconstructed the castle, as a country residence for occasional occupation in the summer, using the medieval remains as a basis for the design. The interiors were elaborately decorated, with specially designed furniture and fittings; the designs include extensive use of symbolism drawing on classical and legendary themes. The surrounding beech woods contain rare plant species and unusual geological features and are protected as a Site of Special Scientific Interest.